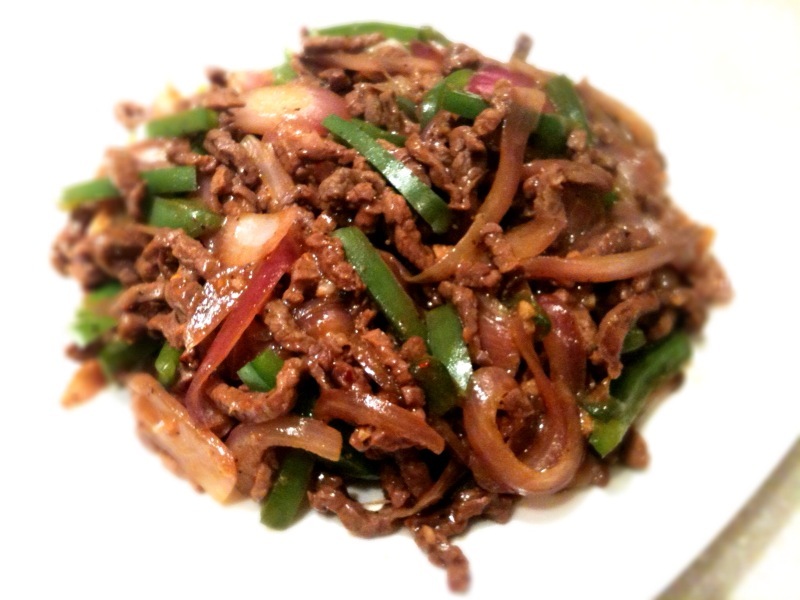 Bought some fresh thin beef steak last night, decided to modify my Mom’s stir fried beef / onion recipe and make it my own. A little corn starch goes a long way on keeping the beef slices tender, don’t use too much because it can turn the dish into a gooey mess. Marinate beef for 20-30 minutes, Heat up oil, add in marinated beef and stir fry until 80% done, take them out and put aside. Add in the bell pepper and onion slices, stir fry for about 3-5 minutes, until vegetable gets soft, but not over cooked. Stir the beef back in, add oyster sauce, and cook until beef is cooked through. Serve over rice.